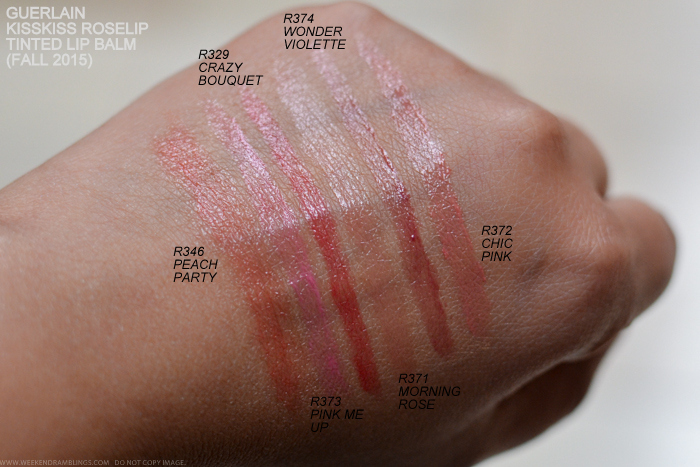 Guerlain RoseLip Hydrating and Plumping Tinted Lip Balms feel every bit like the luxurious lip tinted balms they are. 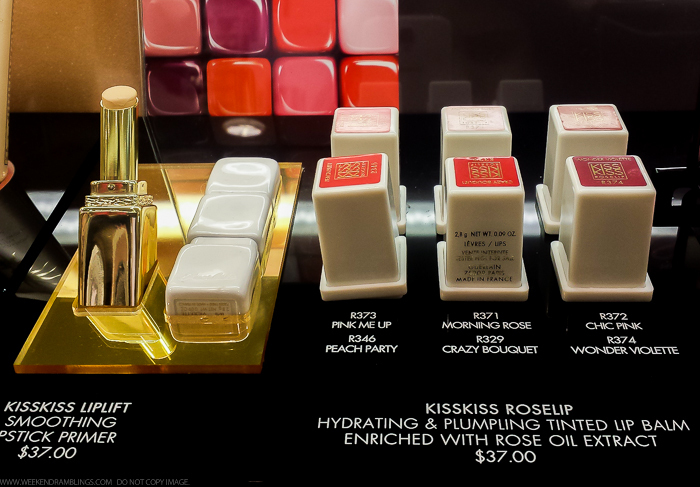 The formula feels extremely moisturizing, and these lip balms leave sheer washes of color. There is a nice mix of deeper shades like Wonder Violette which would make for a nice transition lip color from brighter summer lips, and for those who can never give up on the pink lipstick, there is Pink Me Up - a bright fun color that's sheer enough to make it easy to wear yet bright enough to show up as a pop of color. On my pigmented lips, these colors might not show up all that well, but I love how easy to wear these colors are. 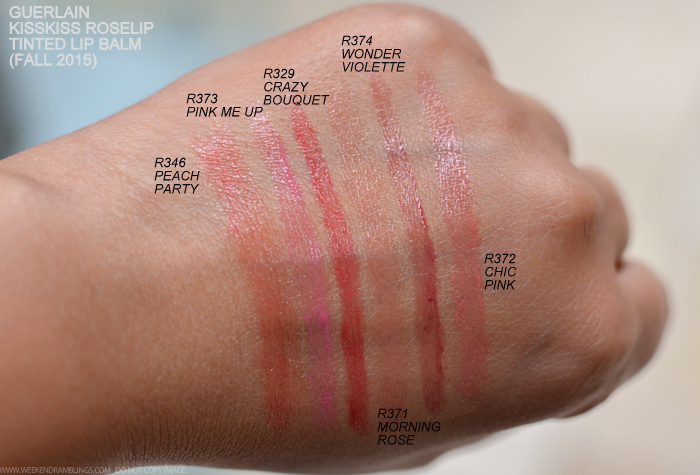 Do give the Guerlain RoseLips a try if you love sheer lip colors and luxurious packaging.